Aisleigh McGann PMP, MBS, serves as Vice President of Community Outreach for the PMI Chicagoland Chapter since June 2014. In her role she is responsible for the success of the Chapter’s outreach program and promotes the project management profession among academic institutions, other professional associations, and social outreach communities in the Chicagoland area. Aisleigh works in Chicago in the Project Management Office for Aon Hewitt’s growing Active Health Exchange business, which leverages the free-market model for group health care, where multiple carriers compete in offering employees a choice of fully insured group plans. Aisleigh is passionate about the continuous evolution of project management as a critical element to business transformation and superior performance. Ashish Nirgudkar is a Senior Consultant at Cognizant Business Consulting practice. He has been in the IT Industry for more than 13 years with diverse global experience with multiple Fortune 500 companies within the technology, telecommunications, and retail domains. His specialties include Agile Transformation & Coaching, IT Strategy & Governance, Process/Quality Consulting, Program Management, Organization Strategy and Governance Dashboard/Metrics. He holds multiple software certifications – QAI-CSTE, QAI-CMST, Scrum Alliance – CSM and Scaled Agile – Program Consultant (SPC) and is a regular blogger on Agile Transformation and Software Quality. Bernd Bornhausen is Manager, IT Solutions, Quality Assurance Solutions at National Bank of Canada. There, he currently leads three teams of professionals. The first team is responsible for the delivery of testing services for Mobile and Web Solutions, the second team consists of test automation and load and performance test experts and the third team is responsible for the testing methodology at the bank. Bernd leverages his international experience, he worked for companies in Germany and Switzerland and for the latter in international projects, in order to constantly improve the skillset of his employees as well as the methodology at the bank. Bernd Haber is a senior executive member of Accenture Application Testing Services, the firm’s Global Testing Practice and Testing Community of Practice. Bernd specializes in the field of test strategy development, test operation transformation, process performance & quality assurance, as well as test metrics and measurements. Bernd assists clients in conducting testing assessments providing total quality assurance feedback for best practices. He also supports implementing and running testing organizations, such as TCoE mobilization with corresponding business process development and execution. Bernd has been with Accenture for more than 23 years and holds a Master’s degree in Mechanical Engineering and Computer Aided Manufacturing. I have been working with QualiTest for nearly 5 years enjoying various roles in test automation before assuming my current role as Solutions Architect. Prior to my time with QualiTest I worked as a Systems Engineer in the utilities industry with a focus on web and web service infrastructure and load balancing. Carolyn Swadron is Senior Manager, Quality Assurance & Quality Control for Digital Strategic Initiatives at Canadian Imperial Bank of Commerce. She leads a team of testing professionals who certify online and mobile banking applications on a wide variety of devices. Carolyn is a member of the Canadian Information Processing Society and holds Information Systems Professional and Information Technology Certified Professional (International Professional Practice Partnership Professional) certifications. She has an Honors BSc. in Applied Mathematics from the University of Toronto. Carolyn is an active member of CIBC’s QA Council and has a strong commitment to continuing education and training. Her experience includes people change management, quality assurance, process engineering, project management, development support, methodologies and standards, CMM, application development, and teaching ecommerce at the college level. Charlene Woolley has over 20 years of experience in Information Technology, and 16 years within the QA space. She recently completed a 5 year term as a board member for AQAA, including serving as the 2014 & 2015 AQAA President. She has been a LinkedIn Premium member and contributor since August 2007, and has personally met 90% of her 1400+ LinkedIn connections to date. At Quest 2014, she successfully connected with over 200 people in less than five days. Known as a LinkedIn Trainer and Guru, Charlene has assisted individuals and companies with successful networking strategies for quite some time. She has a “Pay it Forward” attitude and is well known in the Atlanta IT community as a networking expert through her many connections, speaking engagements and willingness to help others make the right connections. Chris Lawson has over sixteen years in the QA and testing industry where he has gained extensive experience designing, developing, and implementing advanced, high-value test automation frameworks and performance testing programs. He has worked with a client base in numerous quality related roles including engineering, architecture, Agile leadership, and management. Chris regularly provides training and presentations on test automation, performance testing, and Scrum topics. He implements automation solutions for clients using both commercial and open source tools. At Zenergy Technologies, Chris is currently responsible for strategic management, oversight, and delivery of client engagements for QA/test process improvement, test automation architecture, development and implementation, performance testing, and Agile coaching. Chris Taylor is a Senior Consultant at Polaris Solutions, a small IT consulting firm based out of Chicago and St. Louis. He wrote his first line of code at age 11 and has had a passion to continually learn how to make better software by having better communication through proper tooling. He has worked in a number of roles including development, DevOps, QA, architecture, and even as a development manager. Outside of his daily life of all things software related, he entertains himself with watching B rated movies, spending time with his family, and is a competitive martial artist. Clareice Chaney has over 30 years’ experience in Commercial and Government Contracting with an emphasis in contracting within the information technology arena. She holds a PMP certification with the Project Management Institute and is a certified Professional Contracts Manager (CPCM) through the National Contract Management Association (NCMA). She has presented at the National Contract Management Association World Congress and provided recent collaborations on presentations on agile testing and contracting at the QAI North America QUESTConference. Dana Dietz, CTFL, works in Nationwide’s Application Development Center as an IT Analysis Manager focused on software quality assurance. She leads requirements analysts and test engineers, ensuring capability uplift and consistent approaches, in a highly matrixed environment. Dana’s background is in product management and requirements analysis having worked over 15 years in IT developing software for insurance, financial services and not-for-profit institutions. Daniel Schiff started work at a startup in electronic advertising; Dealix Corporation eventually becoming senior engineer. He then moved to Edo Interactive starting as a Product Manager and became QA Engineer when the need for quality became obvious. He has built and led a QA team at Edo Interactive using his education, experience and programming skills. He is currently a member of CQAA. Daniel has degrees in Engineering, Business Administration and Management Information Systems. David Dang, VP of Automated Solutions for Zenergy Technologies, has been a leading figure in the test automation industry for over seventeen years. David spearheads test automation for Zenergy by developing advanced frameworks that emphasize reusability and reduce maintenance efforts. David is an expert in commercial automation tools including HP’s UFT and IBM’s RFT as well as open-source toolsets such as Selenium and Jenkins. On the mobile front, David uses advanced concepts to design optimal frameworks using mobile automation toolsets including Perfecto and Appium. He is a featured speaker on test automation and related topics at local and national QA and Testing conferences including Quality Assurance Institute (QAI), StarEast, STP Con, PSQT, and TISQA. David received his BS in Management Information Systems and BA in Psychology from the University of Buffalo. David De Witt, Director, NueVista Group’s IT Leadership Practice, has more than 30 years experience in business analysis, organizational leadership, and business process improvement. David’s industry expertise covers supply chain, financial services, energy utilities, and electronic publishing. He has mentored clients in their strategic initiatives to establish or improve IS department governance, quality assurance and testing, and business alignment. David holds the CBAP® from the International Institute of Business Analysis® and the CBA® from the Business Architects Guild® and is currently President of the Chicagoland Chapter of the International Institute for Business Analysis. Dean Carvin is Director of Professional Services for Checkpoint Technologies, Inc. and has been working in the software quality assurance field for over 15 years. His area of expertise is test automation strategy, design and implementation and test management focused around the HP suite of tools. He holds certifications in both HP Quality Center and QuickTest Pro. He is also a certified HP Instructor. He is regularly involved in the design and presentation of POCs and product demos, consulting, mentoring and training. He has a passion for software quality assurance, particularly around helping companies develop successful, robust test automation solutions. He has trained and consulted/mentored on HP tools at almost 40 different companies. Diane Walker is a Senior Director of Quality at Equifax and has over 25 years of experience in Information Technology. Her experience ranges from software development architecture to leading software quality efforts for financial services, health care, transportation and manufacturing applications for both internal software packages and resale software packages. Her current focus is improving quality for financial products using Scrum methodology and multiple automated tools. She has served as a member of Atlanta Quality Assurance Association’s Board of Directors for over 15 years. She has a CSQA, CSTE, CSQE, and CSM. Dr. Glenn Stout has been in the information technology field for more than 25 years in various roles and is currently a Managing Consultant at HALOCK SecurityLabs where he consults in the areas of Risk Management, Governance, and Compliance. His speaking experience includes being a frequent speaker at the IBM Rational User Conference, speaking on topics that include requirements management and testing approaches, among other topics related to the IBM Rational toolset. Most recently a QUEST speaker in the area of User Acceptance Testing. He formerly led the Chicago Chapter Rational User Group, and was President of the Global Rational User Group Council in the past. In his spare time, he teaches online college courses at Colorado Technical University Online, Nova Southeastern University, and at the University of Illinois – Springfield, in the topics of Information Security, Management Information Systems, Project Management, and Software Engineering. Elysia has spent the last 10 years testing a wide variety of software, including web, desktop, and mobile applications. She got her start in tech by testing Tetrinet Aqua, an open-source multiplayer Tetris game. She has worked for top Chicago dotcoms including GrubHub and Sittercity. Now she manages the QA team at Emmi. Her passion is leading tech teams in creating robust and stable manual and automated test suites. She has a degree in education and has taught both technical and non-technical sessions. Eran Kinsbruner is the Mobile Evangelist at Perfecto, one of the leading mobile cloud and automation companies. Formerly CTO for mobile testing and Texas Instruments project manager at Matrix, Eran has been in testing since 1999 with experience that includes managing teams at Qulicke & Soffa, Sun Microsystems, General Electric, and NeuStar. The co-inventor of a test exclusion automated mechanism for mobile J2ME testing at Sun Microsystems, Eran has experience in the mobile testing world. You can find Eran on Facebook, Twitter @ek121268, LinkedIn, and his professional mobile testing blog at ek121268.wordpress.com. Frank is an experienced Agile coach, scrum master, leader, and project manager in both the Public and Private sectors with a solid background in IT application architecture and development. Frank has twenty years of experience all phases of the Software Development Live Cycle (SDLC). He is currently running the Agile Leadership Program at his company; a six month program that teaches the principles of Agile and how to become a leader in an Agile environment. He holds multiple Scrum certifications, including: Certified Scrum Master (CSM), Certified Scrum Professional (CSP), and Certified Scrum Product Owner (CSPO). He is also a Project Management Professional (PMP) and a Six Sigma Green Belt. He has been a speaker at the Kansas City Developers Conference in 2009 and 2010. Gary Pedretti has over eighteen years of experience in technology. He works closely with companies, from the Fortune 100 to small volunteer organizations, to help them achieve their goals in delivering business value through software. Gary is an agile software development trainer, coach, and practitioner, as well as a curriculum developer, application architect, and software craftsman. He sees agile software development as a natural outgrowth of the lessons learned in the software industry. Gary is a Professional Scrum Trainer for Ken Schwaber’s Scrum.org and has trained thousands of students on Scrum – coders, testers, UX specialists, BAs, DBAs, PMs, managers, and C-suite executives – using experiential, immersive courses. He has also mentored and trained four other Scrum.org trainers, who went on to teach hundreds of additional students over the past three years. Harpreat Singh has workedin IT for last 12 years and mostly in QA. Working with various customers, Harpreat has obtained experience handling QA challenges. Harpreat’s last 6 years of experience has been mostly in QA Automation. Harpreat has worked with various clients during this time to understand their requirements for test automation and provided suggestions about open source tools. Helene Astier’s career started in 1999 at the Florida Institute of Technology where she became academically trained in Software Quality Assurance. She graduated with a Master of Science in Computer Science and an MBA. She worked in Software Quality Assurance for 15 years in a number of industries such as telecom, manufacturing, finance and consumer web. Currently, she manages a distributed cross-functional team of 50+ Quality Assurance professionals at Cars.com. I am the QA Director of the QA Center of Competency. I have been responsible for the implementation of our QA Culture of Quality roadmap implementing QA processes and procedures (such as Peer Reviews, QA Estimations, and Test Planning), training on HP Quality Center, and facilitating a monthly QA Learning & Professional Development series. I also lead a monthly Quality Assurance Leadership Group that is responsible for implementing enterprise-wide changes within QA. Jackie Wilson is currently the Director for the IT QA Annuity New Product and Strategic Projects for the Annuity business at Lincoln Financial Group. Prior to joining Lincoln in 2013, Jackie worked for American Express for over 22 years where she led the start-up of a proprietary QA testing site in New Delhi, India and managed strategic development projects during her last 5 years resulting in over $70MM in saves. She is a certified Six Sigma Black Belt; loves metrics; and motivating teams. She has been married to Mark for over 17 years and they have four children, a dog and a cockatiel. Jamie Moore, a Sr. Solution Architect for Mobile Labs, has over 20 years in the software testing industry. Prior to joining Mobile Labs, Jamie worked at Mercury Interactive and IBM Rational. In addition to software testing, Jamie has extensive knowledge of the entire software development lifecycle. He has a passion to help QA and Development teams transform the way they build and test software. Jessica Paddock is an accomplished IT professional with 14 years of experience delivering high performance SDLC solutions. She worked at Accenture for nearly 8 years performing many roles as a PL/SQL developer, Oracle Development Lead and Test Data Management (TDM) Lead. During this time, she led the TDM team that created the data for implementation of the Walt Disney World Magic Band system. After Accenture she worked at Grid Tools as a TDM Engineer before coming to Orasi Software. Jessica is the Lead Architect of the TDM team and collaborates with clients on all aspects of TDM from sales, POCs, implementation, architecture strategy and services delivery. Jim Trentadue, Software Quality Consulting Director at Original Software, has more than fifteen years of experience as a coordinator and manager in the software testing field. Jim’s various roles in testing have focused on test execution, automation, management, environment management, standards deployment, and test tool implementation. In the area of offshore testing, he has worked with multiple large firms on developing and coordinating cohesive relationships. As a speaker, Jim has presented at numerous industry conferences, chapter meetings, and at the University of South Florida’s software testing class, where he mentors students on the testing industry and discusses trends for establishing future job searches and continued training. Joe Colavito is a student of people, performance and success. Since he can’t stand the thought of talented motivated individuals underperforming, he has dedicated his life to helping others increase their focus, influence and performance in business and life. Joe began his career as a financial auditor, before working as an executive headhunter. Therefore, he relates to software testers who may have their work under-appreciated by others. Joe has delivered dynamic interactive keynote presentations to over 12,000 professionals, leaving them feeling encouraged, empowered and highly valued. Joe and his wife, Debbie, have five children, and he claims to have learned his most valuable life lessons from them. John Chang is the Head of Solution Design for CAST in North America, helping Fortune 2000 companies leverage CAST’s solutions to reduce system-level defects and improve application development outcome success. John began his career in 2003, leading the development of various business intelligence applications for large companies such as CSX and Maersk Line. After completing his MBA at Rutgers University, he joined INTTRA in 2011 as the Director of Product Marketing, in charge of writing requirements and working with development leads to enhance their cloud-based flagship product used by tens of thousands of clients. John Chang joined CAST in 2014. As Centric Consulting’s National Software Quality Assurance and Testing Service Offering Lead, Joseph Ours has nearly two decades of career experience in Information Technology and Certified Project Management consulting. He believes in finding ways to harmoniously work with all core IT competencies, and as such as works as a developer, tester, business analyst, and program manager. His strategic thought process and ability to translate vision into action has resulted in many large successful initiatives. Joseph’s expertise has also led to numerous national speaking engagements. He earned an MBA, and two bachelor’s degrees: in Electronic Engineering Technology, and in Technical Management. He is also PMP certified by the Project Management Institute. Joseph lives in Columbus, Ohio, and has six adult children. He is an early adopter and active technology enthusiast. When not busy with family events, he chairs the Columbus Advisory Council for Per Scholas, a national non-profit organization based in New York, which aims to break the cycle of poverty by providing technology education, access, training and job placement services for people in under-served communities. Ken Robertson has over 30 years of management experience in manufacturing technical production, application development, project/ program level management, and testing. His testing experience includes the startup of Application and System Integration testing at American Family Insurance. He currently manages the integration testing, performance testing, exploratory testing, and financial testing teams. His education includes degrees in data processing computer programing and business mid-management as well strong experience implementing Lean concepts in manufacturing at a major nationwide window treatment manufacturer. Kim is an experienced Senior Manager with fifteen years of information technology and full project life cycle experience; of which, nine years represent testing and quality assurance consulting and enterprise transformations across Healthcare, Technology, Telecom, State and Federal Government sectors. She provides technical, strategic and operational leadership to the performance measurement, software quality and business transformational initiatives for requirements management, test management, test delivery and quality improvement processes. While her primary focus is building out and maturing Testing Centers of Excellence (TCoE), Kim has extensive experience in delivering scalable testing solutions and conducting comprehensive, enterprise testing assessments. She is a certified Project Management Professional (PMP) and continues to focus on evolving the software testing and quality assurance disciplines as it relates to risk exposure, including risk prevention and risk reduction. Lee Barnes has over 20 years of experience in the software quality assurance and testing field. He has successfully implemented test automation and performance testing solutions in hundreds of environments across a wide array of industries. He is a recognized thought leader in his field and speaks regularly on related topics. As founder and CTO of Utopia Solutions, Lee is responsible for the firm’s delivery of software quality solutions which include mobile quality, test automation and performance management. He has spoken at numerous QUEST conferences as well as StarEast and SPIN. Lynn McKee is an independent consultant with over 20 years experience in the software industry and a passion for helping organizations, teams and individuals deliver valuable software. Lynn is an advocate of the software quality management practices espoused by Jerry Weinberg and provides consulting on software management, leadership and testing. You can reach Lynn online at www.qualityperspectives.ca. Manikandan Rajappa has more than 15 years of experience in quality assurance and system testing in the software industry across publishing, media, finance and healthcare domains. He has improved quality programs, reduced defects and improved overall efficiency. QA leader with a proven track record of strategic QA vision and close familiarity with the automated test tools, concepts and quality management. Highly adept at developing and implementing test strategies, operational procedures and methodologies to support development and release of business applications. Able to train, lead and motivate effective cross functional teams. Possess the ability to interest and convince others when changes are required. Acted as a focal point and leader to all quality related programs. Matt Chessler is a Principal in Capgemini’s Financial Services Testing practice. He has over 20 years consulting experience successfully delivering business and technical solutions for clients in a variety of industries. For the past 14 years, Matt has focused exclusively on QA consulting and has successfully managed testing strategy, functional validation and performance optimization projects for clients in the financial services, technology and healthcare industries. During this time, he has advised clients in all facets of testing strategy, from transformation and process improvements to the design and implementation of large-scale Testing CoE’s. Matt Konda is the founder of Jemurai, a growing application security consulting firm specializing in projects that bring security into the software development process. Previously, Matt spent 4 years as a Director of Engineering at a security company where he was responsible for both technical and operational delivery of a vulnerability scanner, a certificate authority and a tool used by 200 penetration testers. Matt has extensive experience writing software, leading agile teams, engaging with testers and implementing process improvements. Matt is on the global board of OWASP and is a frequent speaker at hacker and developer conferences. Matthew is a Manager with the Managed Testing Practice of Sogeti USA and has over 20 years of technical, leadership and planning experience. He is an Agile Testing practitioner and coach and talks extensively on Gherkin Scripting. He provides BDD (Behavior-Driven Development)/ATDD (Acceptance Test Driven Development) coaching. His background as a former city planner brings a unique perspective to test plans, test strategies and test process development and improvement. He has extensive experience managing offshore and onshore test teams of various sizes. Mike Ennis works as a QA Solution Architect for TEKsystems where his role includes working with the sales team to solution testing proposals for clients. For the past 25 years, Mike has led and implemented quality assurance services across all industries for dozen of clients. He specializes in testing process improvement, Center of Excellence implementations, leadership development, coaching & mentoring. Mike holds certifications from several organizations including QAI, ISTQB & IIST. Additionally, Mike has been a frequent speaker and testing certification instructor since 2000. As a speaker and instructor, Mike has been able to train hundreds of testers and Test Managers in quality assurance, leadership and building effective teams. Michael works with AIM Consulting, where he leverages nearly three decades of experience developing software and leading complex technology projects. He is proficient in agile and scrum methodologies, all aspects of the SDLC, and program and project management. A former director of engineering, he has championed agile adoptions, defined agile process implementations, and supervised multiple development teams using agile methodologies. Michael is a co-founder and driving force behind the Agile Professional Learning Network (www.aplnchicago.org), a meetup group serving the Chicago agile community since 2008. His professional blog is found at (www.michaelmarchi.com). Mike is a ScrumMaster, Agile Evangelist, and aspiring Agile Coach. He fully believes in the agile principles and strives to incorporate them into everyday living. Mike believes agile is a better way to work and live and supports teams in adopting and improving these values and principles. He is also an Accredited Leadership Gift Practitioner. As a Senior QA Analyst for Seapine Software, Mike Lipps is responsible for leading the quality assurance efforts for QA Wizard Pro. Mike started at Seapine in 2008, originally performing QA on TestTrack. He has seen varying degrees of communication between development and QA—from isolationist teams to more collaborative efforts. As a result, Mike is an advocate of frequent communication with development to improve the flow of information, reduce stress on both sides, and allow for more complete and efficient testing. Nick Hussey is a Senior Director of QA Automation at Equifax. Nick has experience from multiple technology verticals and a passion for adoption of Agile software testing methodologies to ensure high quality and timely delivery. Nick’s implementation of Sprint QA automation supported an ever-increasing pace of delivery while also establishing and leading a team of software developers to develop a scalable QA automation framework. Nick lives in Alpharetta with his wife and two children, where he also coaches his son’s soccer team. He is a veteran of the United States Air Force, where he served as a Cryptologic Linguist. Nikhil is Product Manager, Testing Products at SmartBear Software, the leader in software quality tools for the connected world. He was previously at Digité, a leading provider of Application Lifecycle Management solutions. There, he gained insights into software development and testing market. Nikhil received a master’s degree in business administration from Georgetown University. He is very involved in discussions taking place in development and testing communities. His most recent thoughts can be found in Forbes and CIO.com. Nikhil presented on mobile software testing at Mobile Dev + Test, April 12-17, 2015 in San Diego. Paul Herzog is the Delivery Manager for the Testing Practices team at SPR Consulting. He has over 20 years of experience in software quality assurance, systems engineering, and even rode the rollercoaster as Scrum Master for the Digital Oral Care group at 3M. His engineering career has taken him through software projects in a wide variety of industries, from telecom to defense to dental scanners to slot machines. Paul holds a B.S. in Computer Science & Engineering from Milwaukee School of Engineering, and lives in Lake Zurich, Illinois, with his wife and three children. Philip Lew, CEO of XBOSoft, oversees strategy, operations and business development since founding the Company in 2006. His broad experience spans across deep technical expertise as a software engineer, advising on technology and business processes to founding companies such as Pulse Technologies Inc, a leader in contact center systems integration, until it’s acquisition by EIS International. In a space of 25 years he has served as an Ernst and Young Consultant, led the Systems Integrations Services Group at EIS, held roles at executive level both in USA and Europe and serves as an Adjunct Professor at Alaska Pacific University. 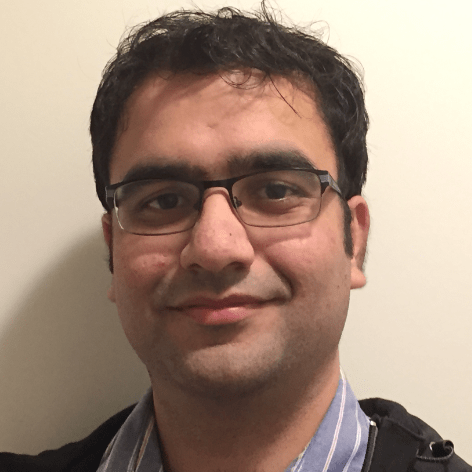 As well as presenting at leading worldwide conferences such as STPCon, PNSQC and Better Software East-West, StarEast-West, his papers have been published in ACM, IEEE, Project Management Technology, Telecommunications Magazine, Call Center Magazine, TeleProfessional, and DataPro Research Reports. Piyush Sachar has been worked in IT for last 6 years managing QA for ecommerce clients and providing them solutions. Rich Valde is a Manager of Engineering at HERE, a Nokia company. He leads a team that develops tools to create Venue maps and passionate about indoor mapping. Previously, Rich worked in the embedded computing and Fleet Management spaces. Other professional interests include creating effective development teams using the Agile Software development process. Before entering the technical world, Rich worked as a singing waiter, a voice coach for a Youth Theater and a musician. He currently enjoys long walks, a good cup of coffee and reading good books on a variety of topics. Robert Kelman is Director of Tools & Architecture for DIRECTV (Now part of the AT&T Family) Software Quality Team. For the past 10 years he has lead a team of engineers who develop and manage tools to ensure all Enterprise Applications are deployed with the highest level of quality. With over fifteen years’ experience delivering Enterprise Software he has developed a passion for continuous improvement and innovation to drive quality. Robert has an MBA in IT Management from UC Irvine and Lean-Six Sigma Green Belt certification. Robert has spoken at CA World, and at QAI QUEST. 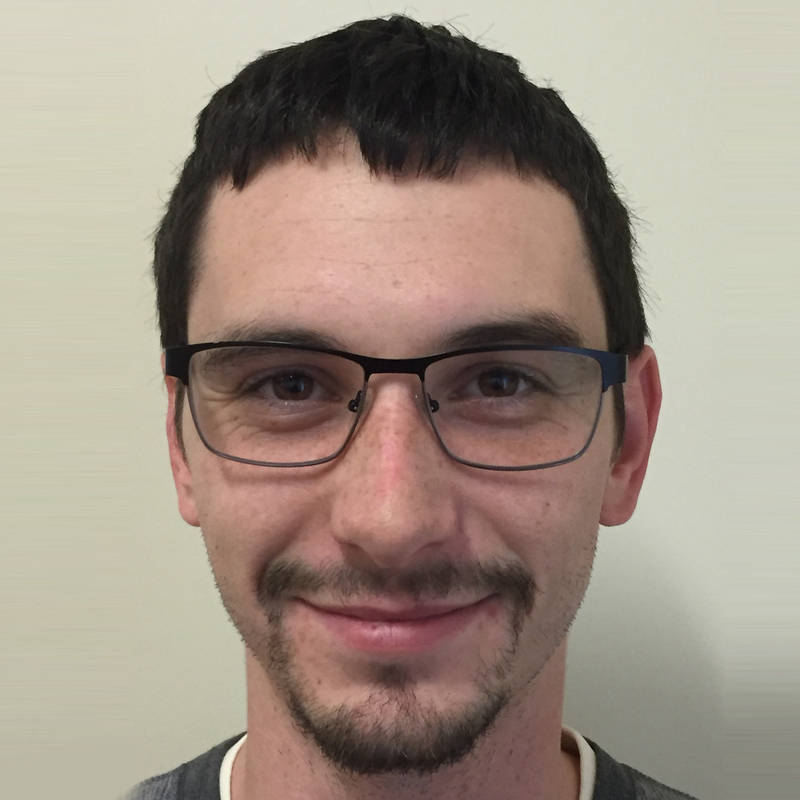 Ryan Yackel is the Senior Product Engineer at QASymphony, ensuring their continued commitment to innovation and delivering tools to create better software. With a deep interest in the emerging trends of testing needs, Ryan is dedicated to being the customer voice for all QASymphony products. Ryan comes to QASymphony from Macy’s Inc., where he managed testing on large enterprise initiatives delivering logistics implementations for their warehouse management systems. Ryan is a certified scrum master from Scrum Alliance and holds a Bachelor of Arts degree from Covenant College. Zenergy’s Shaun Bradshaw has spent the last 18 years working with a variety of clients to improve their QA and test processes by advising, teaching, and mentoring them on the use of effective testing and test management techniques. He is the co-author, editor, and trainer of a suite of methodologies covering testing, test management, and test metrics. Shaun is a popular speaker at many of the major industry conferences and is well-known for his presentations on test metrics, the S-Curve and the Zero Bug Bounce. Shaun is a graduate of the University of North Carolina at Greensboro with a Bachelor of Science in Information Systems and a minor in Computer Science A regular on the QA and testing industry speaking circuit, Shaun has delivered keynotes at the largest testing conference in the U.S. as well as internationally. Sorroya Carder, CSQA, PMP is a Software Quality Assurance manager and has had twelve years’ experience in managing software lifecycle, focusing on technical software requirements gathering and facilitation, as well as QA/Process implementation for large strategic projects. As Vice President of Business Development, Steve brings to XBOSoft considerable experience in business and management. He served as a VP for 4 years at Computer Associates, where he co-founded the consumer business unit which boosted the expansion of the CA footprint in web-based sales, driving distribution of security software to the home and small office markets. Under Steve’s stewardship, the stand-alone start-up division added over 300,000 new subscribers and $5 million revenue per year. An engineer by training, Steve provides a rare combination of management expertise, international project experience and technology. He holds an MBA from the Kellogg School of Business at Northwestern, and a BS in Chemical Engineering from the University of California, Davis. Steve Weisfeldt is a senior performance engineer at Neotys, a provider of load testing software for web applications. In the load and performance testing space since 1999, Steve’s expertise lies in enabling organizations to optimize their ability to develop, test, and launch high-quality applications efficiently, on-time, and on-budget. Prior to Neotys, Steve was president of Engine 1 Consulting, a services firm specializing in all facets of test automation. At an earlier position he spent seven years at automated testing vendor Segue Software (acquired by Borland), where he delivered professional services and training. Steve has been a speaker at the STAREAST, STARWEST and CMG conferences and given numerous webinars on application performance. Susan Brockley has over 25 years of software engineering experience with ExxonMobil working in the areas of quality assurance, testing, requirements, and project management. She is currently a Business Analyst in the IT Center of Expertise. Her background also includes security and controls and requirements management. She has held the Quality Assurance Institute CSQA designation since 2002 along with a Master’s Degree in Software Engineering from the University of Texas. Susan is a guest lecturer at the University of Texas for a course on Measures and Metrics and has spoken at Quality Assurance Institute Conferences in Chicago (Usability – What you Need to Know to Begin Testing NOW) and Toronto (A View from the Back Seat – Past, Present, and Future Thoughts on Test Management). Tanya Kravtsov has recently joined Audible as a Director of QA. Previously, as the head of automation and continuous delivery at ROKITT, Tanya focused on internal Automation and DevOps practices and worked with customers to transform their development and testing processes. She is a founder of DevOpsQA NJ Meetup group. Prior to ROKITT, she established a quality management group at Syncsort and worked at Morgan Stanley as a VP, leading an automation group of 50+ engineers. She is very passionate about process automation which encompasses test, data and environment automation, as well as continuous integration and continuous delivery. Todd Peak is a Senior Software Engineer at Seapine Software, a leading provider of process-centric ALM solutions. He is a 2006 graduate of the Rochester Institute of Technology with a B.S. in Computer Science. Todd has been focused on automated testing for the past nine years, and has contributed articles to “SD Times” and the Seapine Software blog. Tom Cagley leads DCG’s Software Process Improvement and Software Measurement Consulting Practices. Mr. Cagley has over 20 years’ experience in the software industry. He has held technical and managerial positions in different industries as a leader in software methods and metrics, quality assurance and systems analysis. Mr. Cagley is a frequent speaker at metrics, quality and project management conferences. His areas of expertise encompass management experience in methods and metrics, quality integration, quality assurance and the application of the SEI’s CMMI® to achieve process improvements. Mr. Cagley is currently on the President of the International Function Point Users Group. He also is an active podcaster, hosting and editing the Software Process and Measurement Cast (www.spamcast.net) and blogger (www.tcagley.wordpress.com). Tom Janik has over 20 years of experience in QA and Automated Testing Management. He is a Certified Software Test Engineer and has helped start up several QA departments at companies like Rockwell Automation, Cardiac Science, and FunJet Vacations. Managing combined manual and automated efforts, he has successfully planned, created, and executed several custom automation frameworks built in Rational Robot, WinRunner, Rational Functional Tester, VB.Net, and Selenium Webdriver 2.0. Over the last 3 years at American Family Insurance, his focus has been Release Management and most recently the conversion to DevOps, including Build/Deploy and Environment Management. Tom received his BS in Computer Science from Marquette University in 2001, his CSTE in 2003, and his CSQE in 2004.